The new Acura RLX evokes instant longing through an evocative redesign inspired by the Acura Precision Concept. The signature Diamond Pentagon grille complements fresh sweeping creases across the newly chiseled hood, and bold lines run through to the new rear fascia with integrated chrome exhaust outlets and LED pipe lighting. It’s everything you’d expect from a flagship luxury performance sedan, and it’s available now. A standard 310-hp 3.5L V6 engine comes mated to a 10-speed automatic transmission with Sequential SportShift paddle shifters and Grade Logic Control for precision performance and astounding acceleration. 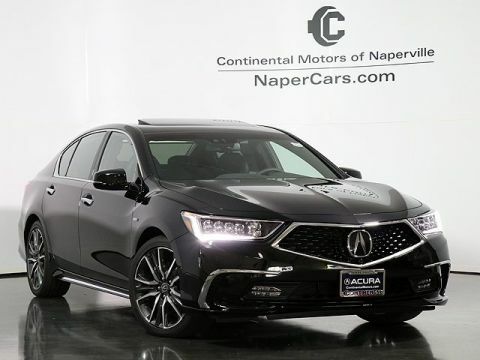 Perforated Milano leather trimmed sport seats, GPS-linked tri-zone automatic climate control, and heated front seats come standard, as does a 14-speaker Krell Audio System and Acura Navigation System. All trims receive cutting-edge Adaptive Cruise Control, a Lane Keeping Assist System, a Collision Mitigation Braking System, and Road Departure Mitigation. Celebrated by critics for its “high level of refinement”, the Acura RLX is impossible to ignore. Drivers from Plainfield, Joliet, and Aurora should visit us to take a closer look. Alternatively, feel free to apply for financing directly. VIP Loyalty Rewards — Gain VIP membership when you purchase a new or Certified Pre-Owned vehicle, enjoy perks, and earn rewards. Enjoy Your Ideal Test Drive — You can try a vehicle on the Naperville Test Track, or we can bring the vehicle to you!